Mick Doellinger has lived in the United States since 2003, but grew up in Australia where he gained many of the skills he uses today in his sculpting. He started sculpting taxidermy manikins in the late 1970’s and gained International industry recognition for physical accuracy and unique artistry. 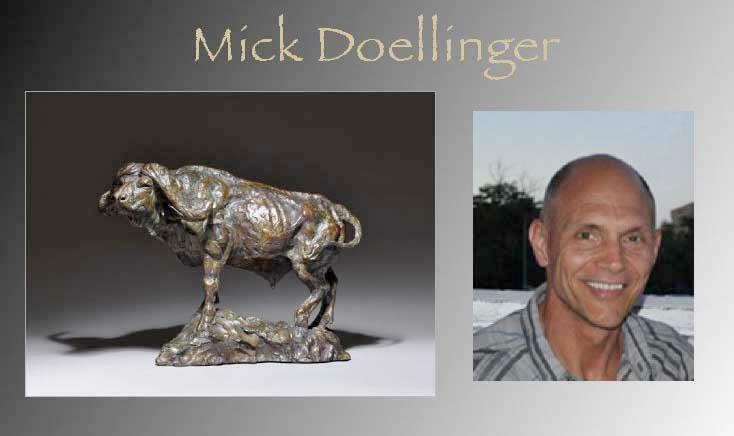 Doellinger melds this working knowledge of anatomy and sculpting with a deep understanding of animal behavior and psychology that he gleaned from years of guiding and wildlife management in the Australian outback. 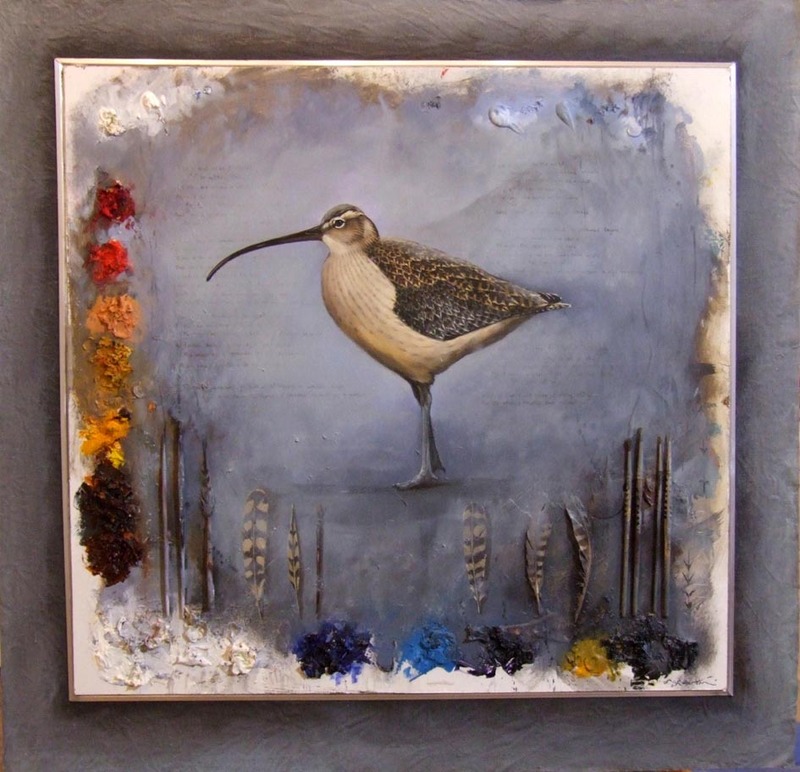 Mick’s work reflects his fascination with nature and art by blending the two in a tradition that has inspired countless artists thru the centuries. For the past 30 years Mick has honed his sculpting skills and developed a style that has not only become his “voice”, but is a reflection of his artistic process. Born in 1969 and raised in Sjöabro, a scenic spot deep in the middle of the forest in Småland, which is a province in southern Sweden. The forest’s diversity of animals and birds caught my interest early on and became a natural source of inspiration. I shared this artistic interest with my uncle, who encouraged me from a young age, and it was he who took me to my first show. After high school I moved to Helsingborg, a city in southern Sweden which faces Denmark, in order to study painting and drawing at Sundsgårdens college. Today I live with my family in Viken, a small village outside Helsingborg, where I practice my art. 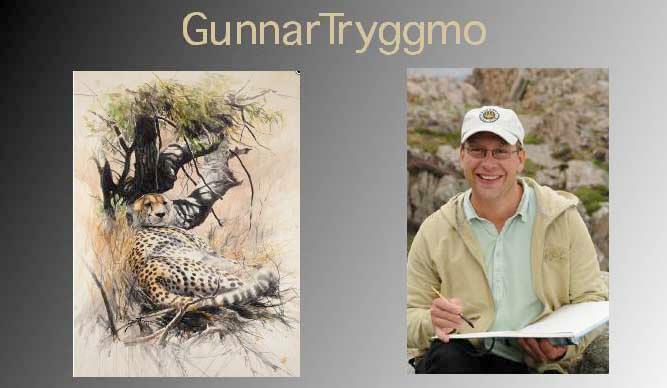 I continue to be inspired by nature and in particular by animals and birds in their natural environment, such as the Swedish landscape which ranges from the coastline to the heavily-forested interior. In 2007 I went on a safari trip to Tanzania and experienced at first hand Africa’s wildlife. This was a majestic experience that has ever since been a major inspiration in my art. 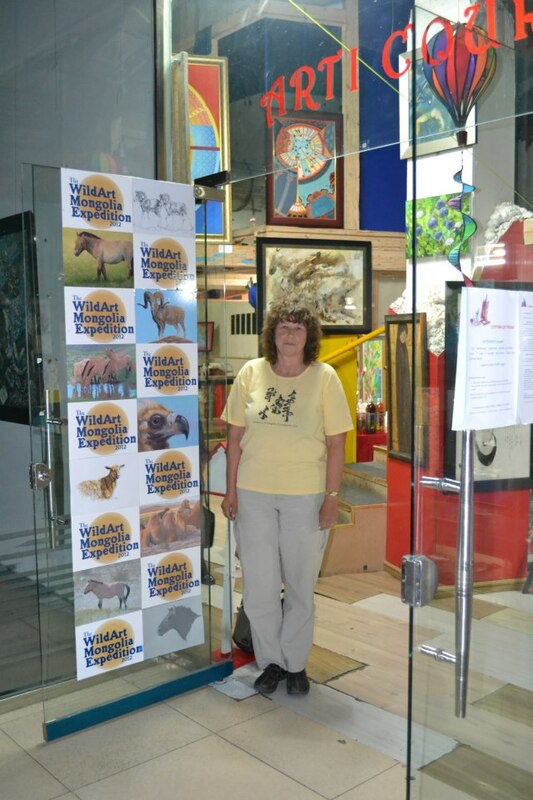 "American Artist Susan Fox-The WildArt Mongolia Expedition"
On September 22, 2012 during her most recent trip to Mongolia, Society of Animal Artists Signature Member and Board Member Susan Fox was the guest of ArtiCour Gallery in Ulaanbaatar for an art event "American Artist Susan Fox-The WildArt Mongolia Expedition". She was the first artist to be featured in the Gallery's new International Visiting Artist Series. Besides providing information and answering questions about the upcoming WildArt Mongolia Expedition, Susan displayed watercolors that she had painted on location at Hustai National Park, did watercolor demos and gave a presentation in the evening about the Expedition, her paintings, a fast sketching technique and using an iPad as a sketchbook. 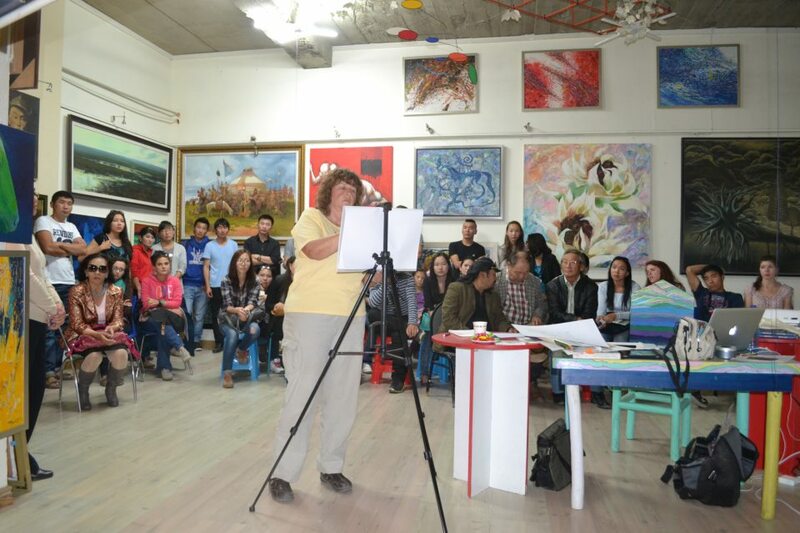 Her talk was attended by over 30 people, many of them art students, but also some of the most prominent artists in Mongolia, whose studios she visited the next morning. 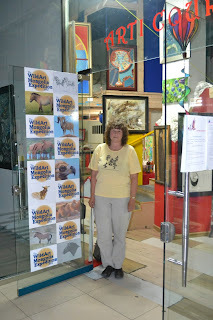 Susan is now represented in Ulaanbaatar, Mongolia by ArtiCour Gallery. 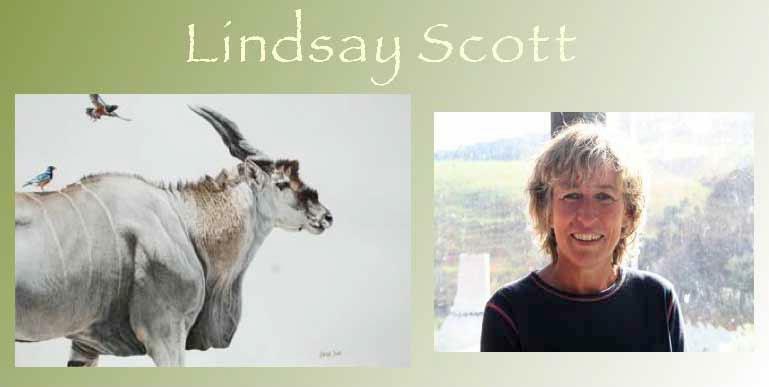 Nationally renowned artist Lindsay Scott is acclaimed for her dynamic and precise oil paintings and her exquisitely detailed pencil drawings, all of which convey the drama and spirit of African Wildlife. With a background as an illustrator, a botanical researcher and a biologist, Scott is an avid observer of nature, and her works reflect her close study of animal life, conveying a candid sense of firsthand experience while capturing intimate emotional moments. Having grown up in Africa at an early age I developed a deep and abiding passion for the natural world. I try in my paintings and drawings to capture what I "feel" about this wonderful place, beyond just how it looks. It has so many moods, not only the action-packed excitement, but the magic peaceful times, with magnificent creatures going about their daily lives in that vast and fascinating arena that is Africa. A constant challenge is to capture some of the essence of this awe inspiring vastness and beauty on a canvas or piece of paper. I very much regard animals as individuals and try to make my representations of them "portraits" rather than just studies of a species. The National Museum of Wildlife Art has acquired two major paintings of Scott's for their permanent collection. Other major public collection's that include her work are the Leigh Yawkey Woodson Art Museum, San Bernardino County Museum of Art and Standard Bank of South Africa. Lindsay's work has been exhibited at the Natural History Museum in London, England and been auctioned at Christie's and Sotheby's in London. 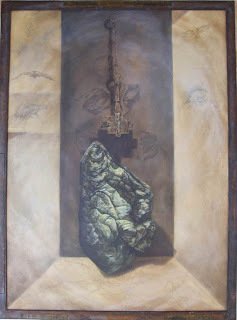 Her paintings and drawings are in great demand at some of the finest Art Galleries in America and England. When she is not travelling around the world in search of new subjects, Scott and her husband Brian McPhun live and work in the Matakana Valley, in New Zealand. 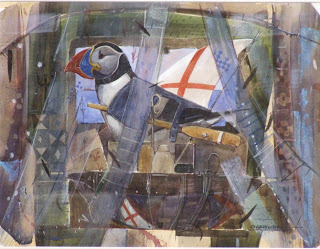 Last year, I exchanged a flurry of emails with Scottish wildlife painter, Derek Robertson. In the course of our discussion about the possibility of including a few of his works for an exhibition I am organizing, he pointed out to me that the works I was considering, though previously purchased and now owned by collectors, were never-the-less, all available for exhibition. In Derek's words, "Those already sold have loan agreements with purchasers." When I read Derek's email, I almost couldn't believe my eyes. Though I've worked with wildlife artists for 35 years, I've never before experienced something like this, particularly in the U.S. or Canada. So I replied, "Could you share with me the terms of your loan agreements with your purchasers. That is something I would like to recommend to other artists." Derek's response: "The agreement I have is informal: An email exchange agreeing a loan period of up to a year should I need it and an offer to lend a painting or print of similar size to fill the space on their wall in return." To which he added, "Although I would have to credit my wife who is good at making me get organised....she now works for the Tate Galleries whose curatorial staff seem to strongly share your view." A former museum man myself, I can understand the advice Derek's wife gave him, since collectors are sometimes unwilling to part with their purchases for museum exhibitions. In Derek's case, his collectors are to be complimented not only for their affability, but also for their wisdom and sophistication. By agreeing to lend works back for display, Derek's collectors are supporting Derek and his career. But they are also helping themselves by creating a history for the artwork they happen to own. This history, known as "provenance" among connoisseurs, imbues artworks with real added value. 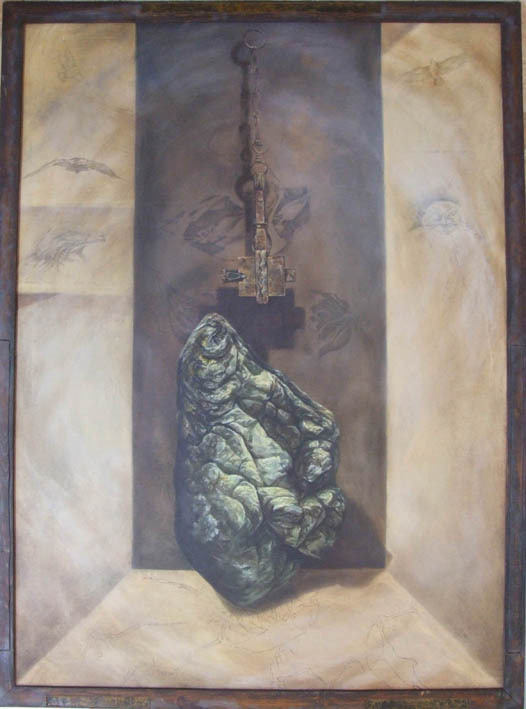 To appreciate this, just go to Christie's or Sotheby's or most any other reputable auction house, and you will see that they rely heavily on an artwork's individual history to establish and justify value. Derek's savvy and the savvy of his collectors should be followed as a model by North American artists lucky enough to have their work requested for display in galleries and museums. Thank you, Derek, for sharing that with me. Jim went on to Harvard, where he earned a degree in biology (with the goal of becoming an ornithologist), but received little formal training in art until he attended Parson's School of Design in New York as a graduate student. Immediately after earning his master's degree at Parson's Jim shifted gears and immersed himself in the art of field guide illustration. He contributed work to several books, including the recently reissued Easy Bird Guide: West, and Birds of New Guinea, and to Frank Gill's classic college textbook Ornithology. But he is best known as the author and illustrator of the acclaimed Golden Field Guide Eastern Birds, first published in 1994, and reissued in 2001 by St. Martin's Press. Finally, after more than fifteen years of painting nothing but bird identification plates, each carefully rendered in watercolor and gouache, Jim stepped back across the divide into the world of 'fine' art, and he turned his attention to painting landscapes in plein air. He found that many of the skills needed to capture the fleeting light and dynamic conditions of the landscape are analogous to those he had previously developed for sketching an active bird as it foraged or preened. Both rely on careful observation, practiced visual memory, speed, and instinct. But the vigor and physical energy that it takes to dash a quick field study in oil paints were new to Jim's work at that time, and they clearly helped shape his approach to painting. 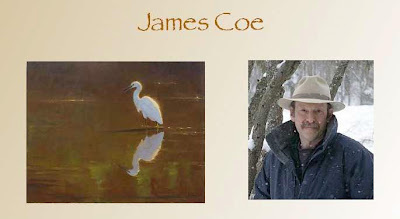 James was Leigh Yawkey Woodson Art Museum's prestigious "Birds in Art" 2011 32nd Master Wildlife Artist. Jim also shows in most of the annual exhibitions hosted by the Bennington Center for the Arts; in 2009 he was the grand prize winner of their inaugural Laumeister Fine Art Competition. And in the fall of 2011, his membership status with the prestigious Oil Painters of America was promoted to Signature Member. 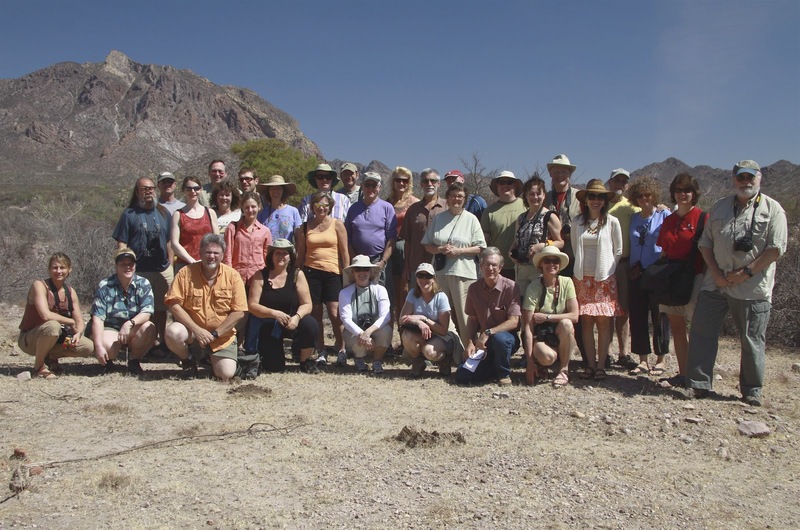 Thirty American artists from throughout the U.S. who participated in a field trip to San Carlos, Sonora, Mexico, in 2011 to produce a body of work for a museum exhibition entitled The Sea of Cortez, will have their work displayed at The Arizona-Sonora Desert Museum Art Institute from March 16 through June 2, 2013. Participating artists include: Linda Bittner, Carel Pieter Brest van Kempen, DeVere Burt, Andrew Denman, Kim Diment, Kim Duffek, Cathy Ferrell, Susan Fisher (who also serves as Director of The Arizona-Sonora Desert Museum Art Institute), Susan Fox, Mary Garrish, Ann Geise, Shawn Gould, Mary Helsaple, Heiner Hertling, John Kobald, Molly Moore, Deian Moore, John Pitcher, Don Rambadt, Paul Rhymer, Rebecca Richman, Carolyn Thome, Christine Sarazin, Rachelle Siegrist, Wes Siegrist, Martha Thompson, Sue Westin, Ronnie Williford, Nicholas Wilson, and John Agnew, who had to withdraw from the field trip for medical attention, but will still exhibit in the exhibit. 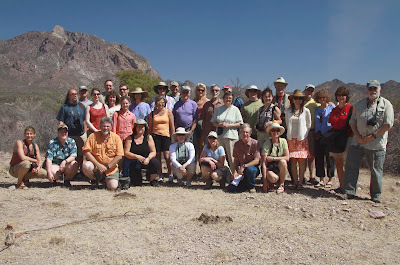 The Sea of Cortez field trip was organized by David J. Wagner, L.L.C. Leading the field trip was Richard C. Brusca, Ph.D., who serves as a member of the Science Faculty at the University of Arizona. Recently retired from the Arizona-Sonora Desert Museum where he directed the ASDM Press and served as ASDM Senior Director of Conservation & Science, Dr. Brusca is widely recognized as a leading authority on Sea of Cortez studies. Field Trip ground transportation was made possible by The Susan Kathleen Black Foundation while boat transportation was provided by Glenn and Martha Thompson. The Sea of Cortez exhibition will include plein air paintings, botanical illustrations, field sketches, wildlife paintings and sculptures, photographs, and other media including casts of Sonoran wildlife tracks. Serving as Curator for the exhibition is David J. Wagner, Ph.D. The sea is central to its mission of The Arizona-Sonora Desert Museum Art Institute, as explained on its Sonoran Desert Studies webpage: "the Sea of Cortez divides the land portion of the Sonoran Desert into two halves, the Baja California Peninsula on the west, and the states of Arizona and Sonora [Mexico] to the east . . . The coast of The Sea of Cortez (also known as the Gulf of California) is characterized by 300 estuaries and other wetlands . . . a unique ecosystem that is home to a rich community of plant and animal life. They are key components of the Gulf's marine food web, generating primary production and releasing nutrients to the sea, and serving as breeding and nursery grounds for numerous fish, invertebrate, and bird species, and even some marine mammals and reptiles." The Sea of Cortez exhibition will focus on the flora and fauna that inhabit the environments around San Carlos, Mexico, including the sea's incredible marine life, the region's desert topography, the Estero el Soldado mangroves (one of the most pristine lagoons left in the Gulf), Nacapule Canyon, and scenic overlooks such as Mirador with sweeping vistas, sheer cliffs and the sea below.